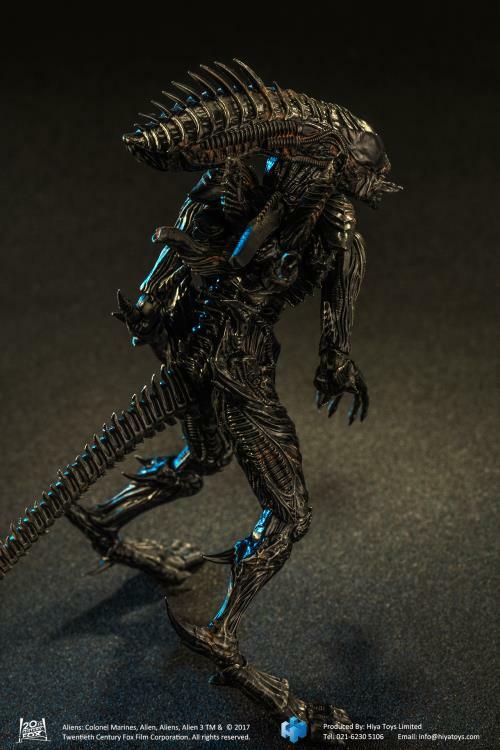 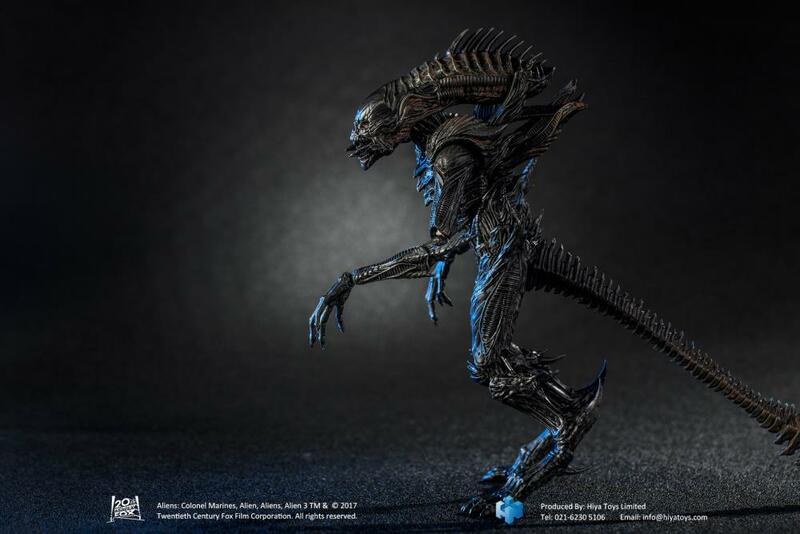 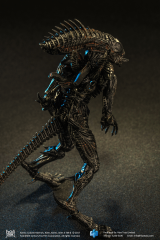 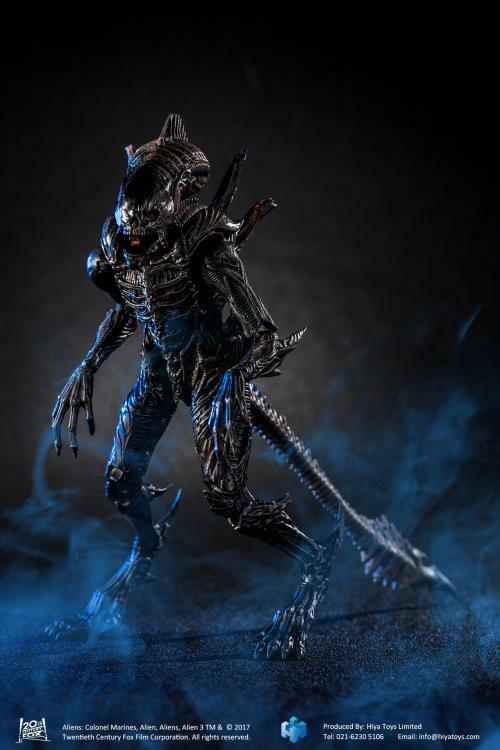 The Raven resembles an ordinary bipedal Xenomorph, but larger, almost entirely encased in a bullet-proof, chitin carapace, and only walks with its large hind legs - like a Queen. 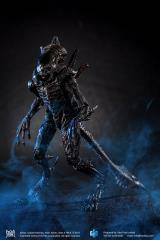 Its tail has a distinct ridge of spines at the base of its harpoon-like blade. Its head possesses a ridged carapace, much like a Soldier, with a line of spikes along the top of its cranium. 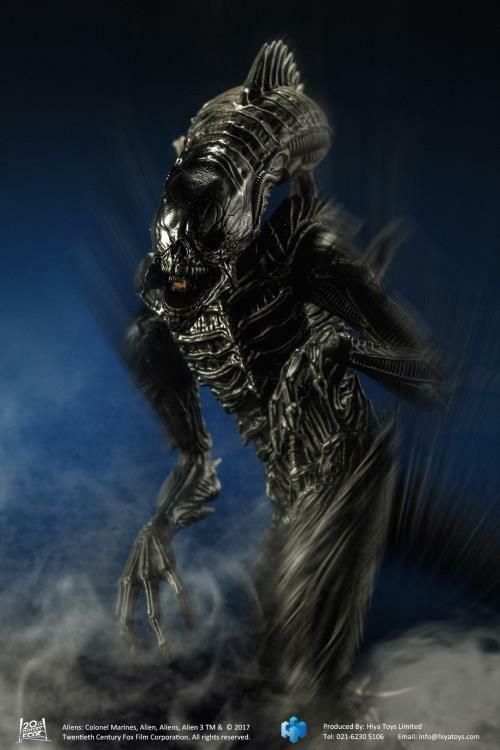 The Raven's face is scarred, exposing evidence of human features beneath the skin, including eye sockets, a nasal cavity and jaws and teeth that are significantly more human in appearance than on most other Xenomorphs; the teeth themselves are not silver and metallic as on most Xenomorph variants. 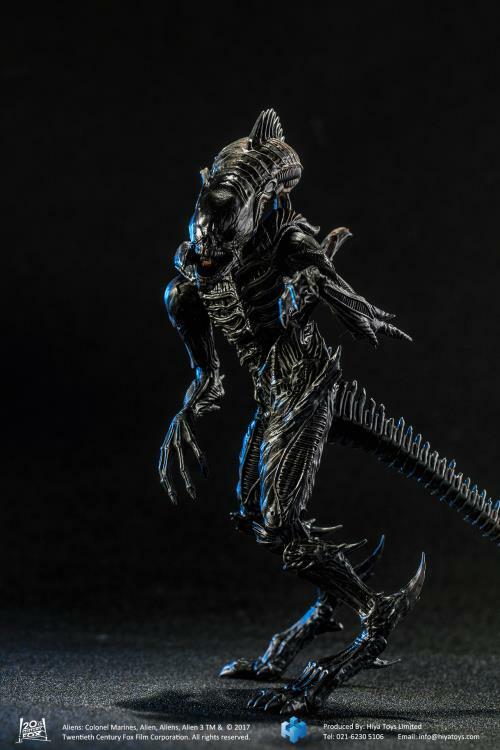 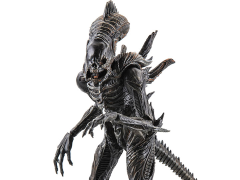 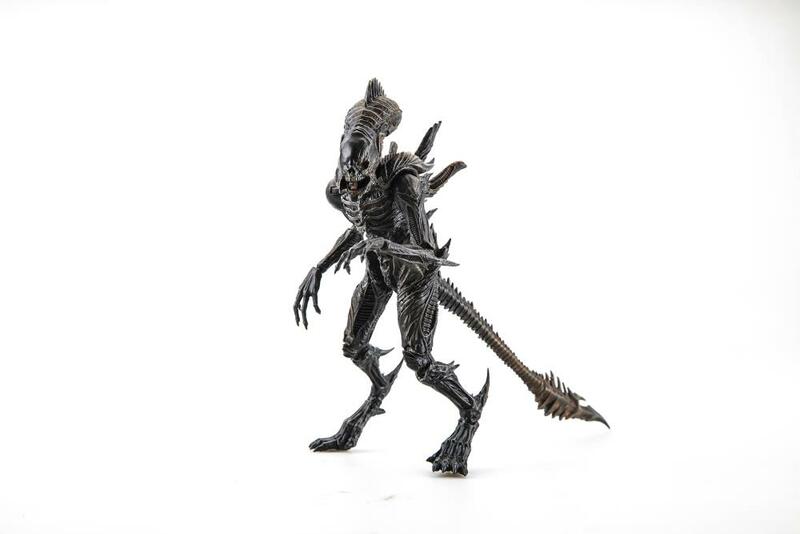 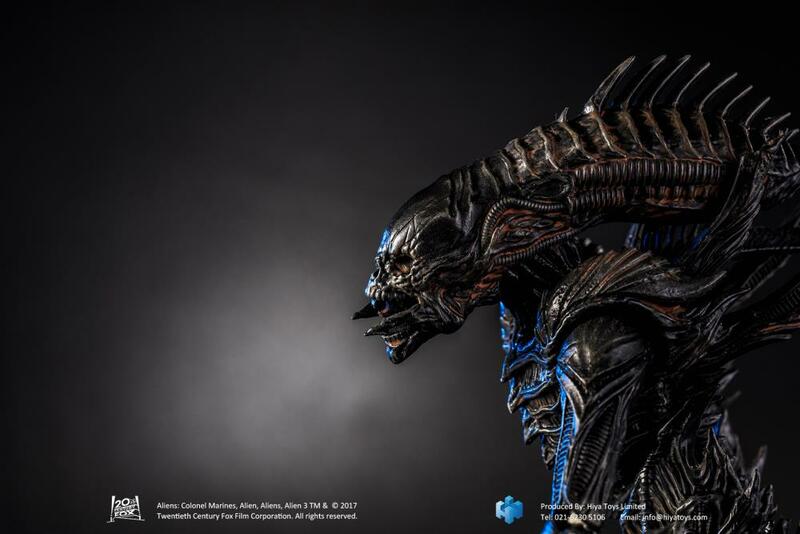 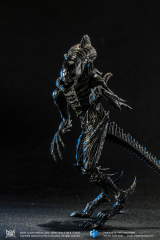 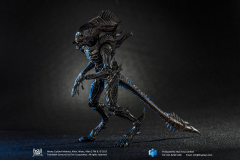 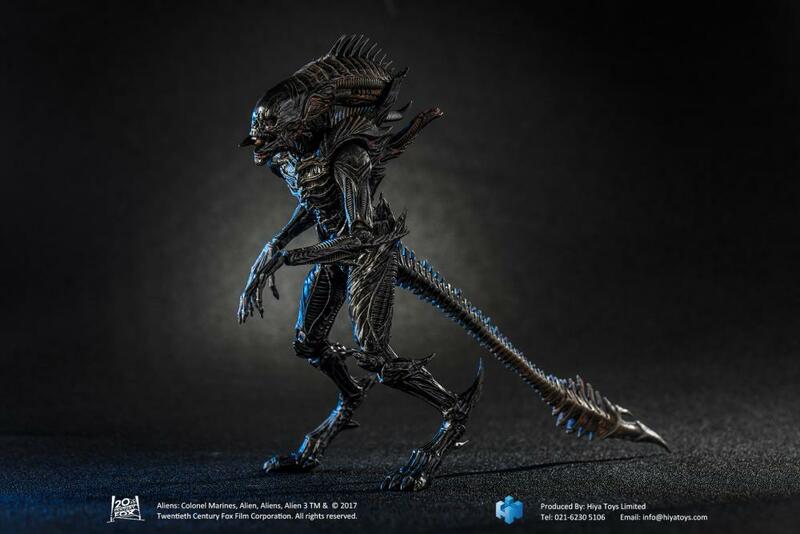 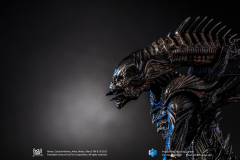 This strain of Xenomorph also lacks the large canine teeth of Praetorians and Queens, making its teeth blunt and noticably more human-like - with two small tusk-like protrusions either side of its lower jaw. 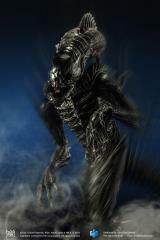 The Raven is very large, even for a Xenomorph, with a height comparable to that of a Praetorian or even a Queen.